Floret the cauliflower into small pieces. In a large bowl, mix the gluten-free flour, paprika, onion powder, cumin, garlic powder and salt, then create a well in the middle. Add almond milk to the dry mixture and mix. 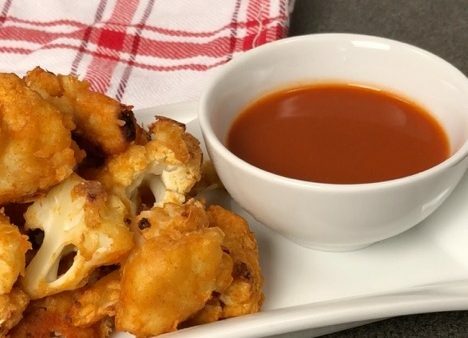 Pour batter onto cauliflower and mix until all pieces are covered. Place cauliflower on a baking sheet lined with parchment paper then spread out evenly. Bake at 450 F for 30 minutes, flipping cauliflower halfway. Enjoy!